The workers’ message, which they plan on delivering outside over 100 locations across the nation, is actually twofold. In addition to rejecting privatization—as well as a “franchising the mailbox” proposal floated by a White House task force, they want to dispel the myth that the USPS is funded through tax dollars. It’s a timely message given that Monday is Tax Day. Putting the postal service in private hands would be bad news for customers, who’d face service cutbacks and higher prices, the union says. The White House USPS Task Force Report, released on Dec. 4, outlines the first step of the OMB’s privatization proposal—restructuring the USPS to fatten it up for sale. 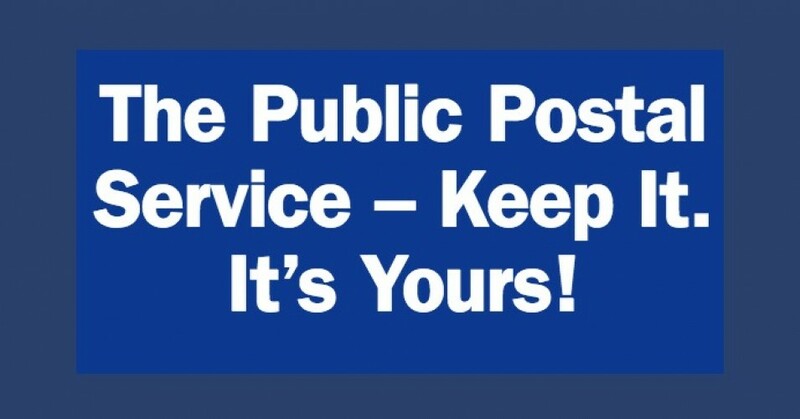 Indeed, rising costs and worsening service would hasten the public’s retreat from the Postal Service, leaving higher costs for those left behind. It’s a classic death spiral scenario and should be rejected by everyone—mailers, organizations, and regular household users—that relies on the Postal Service’s affordable, nationwide network to market, exchange goods and information and conduct their affairs. It should be especially concerning to the most vulnerable across the country, especially those in rural and remote areas, the poor and underserved and veterans who especially rely on postal delivery of life-saving medicines.